" Hey Gin, can I talk you to for a second?" Harry stood in the living room just after Ginny had gave him a huge hug.
" Harry there&apos;s something I have to talk to you about. But you can say it first" Harry rested his hands on her arms.
" I really like you, you know that right?" Ginny nodded nervously. " 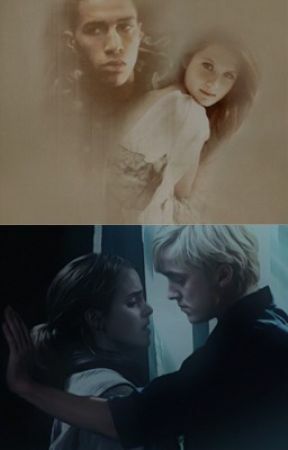 But I think I like you more like....a sister, than my girlfriend"
Ginny stared at him like he had hit her just across the face. But then she breathed out in relief.
" Thank Merlin it was you who said it"
Harry looked startled. " Wait...what? You were going to break up with me?" " Yeah...well. I only see you as a great friend. I&apos;ve been prepearing myself for this for a while. I&apos;m glad you you feel the same way"
Harry was taken aback by her answer. He knew she was a strong woman, but he thought she might start crying or saying something like " I gave you five freaking years of my life". But she just stood there with relief in her soul and smiled at him.
" That&apos;s good....I suppose. Friends?" He said and held out his hand to her.
" Friends!" She jumped into his arm and gave him a tight hug.